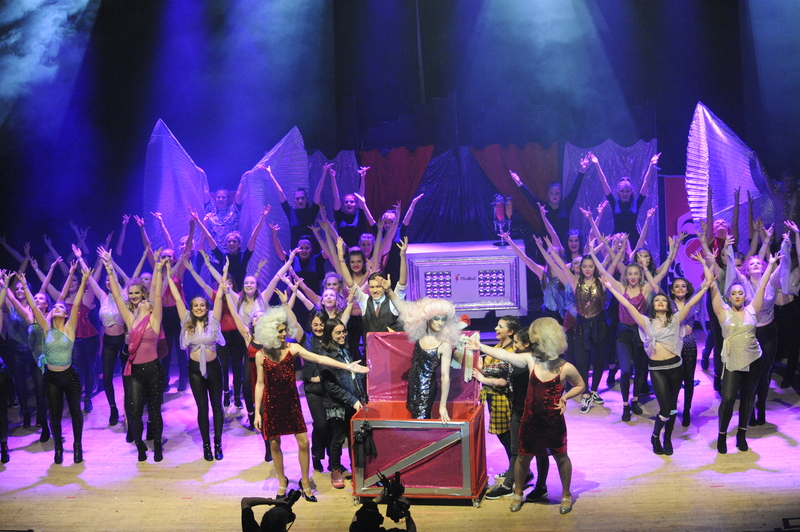 Dance students from Havant & South Downs College have won the first heats of Rock Challenge following their performance celebrating LGBTQ themes. The dance team performed on 11 February at Portsmouth Guildhall up against groups from other schools and colleges across the area. Their routine, called ‘Love is Love’, depicted the story of a teenage boy ‘Jack’, who has grown tired of pretending to be something he’s not. He soon discovers that he can live the life he wants by finding his inner strength, showing his bravery of facing who he is and not being afraid to show it. His story celebrates inclusivity and that above it all, love is love. The performance also included a side story about three drag queens embracing their art form and celebrating that with the world. The eight-minute performance impressed the judges on Monday night and secured the team first place as well as 12 awards, followed by Cams Hill School and Christ the King College. Learning Manager Sally Barlow said: “The performance from Havant & South Downs College was outstanding, from choreography to the design and concept, and the team should be congratulated for their boldness in raising awareness of LGBTQ issues and promoting inclusivity. “It’s wonderful that the HSDC entry has been a real team effort this year; with performing arts students across courses and levels collaborating and sharing this fantastic opportunity. They couldn’t have done this without the cross-college support and hard work, the extra time and rehearsals put into this has not gone unnoticed and is very much appreciated. Dance Lecturer Sarah Parsons said: “The day itself went really well, students were really buzzing and wanted to put forward a great show to impress our local feeder schools which included Purbrook Park, Park Community, Bay House, Cams Hill, Admiral Lord Nelson and The Trafalgar School. “We must have done a good job because we won the ‘Performers Choice’ award which is nominated by the pupils from the competing schools. “We were really aware that our story about a teenage boy’s ‘coming out’ was a challenging one to tell sensitively in a seven minute dance with no words but we absolutely nailed it. Father John from Christ the King School on the Isle of Wight sought us out and congratulated us on such an inspiring and moving piece. The Havant & South Downs College team won a total of 12 awards which included concept, choreography, drama, costumes, set and soundtrack. Dance Lecturer Andie Poulaki said: “If we aren’t painting set we are making costumes or props, we rehearse in our spare time and we even drive the lorry with the set to the Guildhall. We received help from the Hair and Beauty department and Paul Parsons from Graphics helped with our team T-shirts, so it was nice to receive help from other areas within the College.